For the Nintendo DS game, see Final Fantasy XII: Revenant Wings. Final Fantasy XII is a Final Fantasy game by Square Enix. It is the final original Final Fantasy game to be released on the PlayStation 2. Final Fantasy XII introduces a number of innovations that differentiate it from the previous offline titles in the series. The most significant of these – the elimination of random battles in favour of enemies seen and fought using the same interface as exploration – gives the title a feeling akin to an MMORPG. The game introduced several innovations to the series: battles occur without a transition to a separate screen; a customizable "gambit" system automatically controls the actions of characters; and a "license" system determines which abilities and equipment are used by characters. Final Fantasy XII also includes elements from previous games in the series, such as summoned monsters, Chocobos, and airships. Another hallmark of the game is the complex plotting which sees almost all of the player-controlled characters get equal billing throughout the story. Enhancing this feeling of depth is the fact that many of the CGI sequences that punctuate the game do not focus on the game's heroes but instead present action and machinations happening throughout the continent of Ivalice. 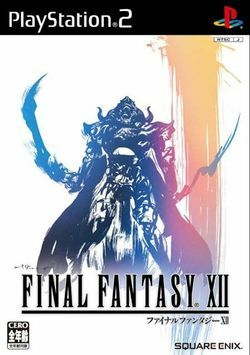 Final Fantasy XII is set within the land of Ivalice during an age when "magic was commonplace" and "airships plied the skies, crowding out the heavens". At this time, magicite, a magic-rich mineral, is commonly used in magic spells and in powering airships—a popular form of transportation in Ivalice. Ivalice is divided into three continents: Ordalia, Valendia, and Kerwon. Ordalia is located in the western part of Ivalice. The Rozarrian Empire makes its home in the vast inland plains of this continent as the eastern portion of it is largely desert or "jagd"—lawless lands so rich in Mist (the ethereal manifestation of magicite) that airships cannot fly over them. Valendia is the home of Imperial Archadia, where vast and lush plains dot the landscape. Central to the story is Dalmasca, a small kingdom between the two continents and Empires. Located in the middle of the Galtean Peninsula of Ordalia, Dalmasca is surrounded by an expanse of desert. The temperate climate of Dalmasca differs from the cold environs of Kerwon and the lush plains of Valendia and Ordalia. During this time, Ivalice is beset by the pending war between the forces of Rozarria and Archadia. Caught between the two powerful Empires, Dalmasca and a number of smaller nations have already been subjugated by Archadia two years before the game begins. This page has been accessed 57,900 times.